Divorce is a life event that completely shakes up your life and can leave you feeling like a shell of your former self. It is not just the fact that your family is splitting apart, your living situation is changing, and your finances are taking a hit. Divorce also has a very real impact on your physical and mental health. Here are some of the most significant ways divorce can impact your health. Divorce is consistently ranked as one of the most stressful life events, and when that stress becomes chronic, it can pose serious problems to your overall well-being. When the body is stressed, it releases the hormone cortisol. Overexposure to cortisol can disrupt nearly every system in the body and can contribute to anxiety, heart disease, depression, digestive problems, and other issues. According to a study published in Social Science & Medicine, ending a marriage can lead to a less healthy diet for men. That is not surprising. A lot of guys might not have handled cooking duties while they were married. And after divorce, it is common to cope with comfort foods (who couldn’t use a night on the couch with some pizza and beer after a tough breakup?). That nutritional decline can have serious consequences, however, as a lack of fruits and vegetables puts a person at greater risk for cardiovascular disease and cancer. The chronic stress of divorce also can cause trouble sleeping. Unfortunately, sleep deprivation is one of those things that can easily snowball. A lack of sleep leads to more stress, which makes it even harder to fall asleep, which causes more anxiety, and so on. Fortunately, there are some practical steps you can take to improve your sleep hygiene so that it is easier to fall asleep. 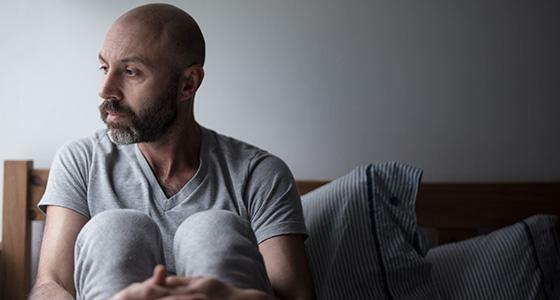 Depression goes hand-in-hand with stress and anxiety, so it should come as no surprise that many men struggle with depression after divorce. The end of a marriage conjures a lot of emotional turmoil, and a lot of men are not equipped to deal with these mental health issues on their own. 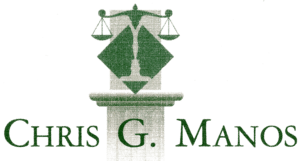 The situation is even worse if you were dealt an unfavorable child custody arrangement forcing you to spend less time with your kids than you would like. Do not hesitate to reach out for help if you feel overwhelmed. A mental health professional can help you find a sense of stability and start to get back on your feet after divorce. Research shows that excessive alcohol or drug abuse is the third most common reason for divorce. Divorce itself may pose a risk factor for addiction as a Medscape study found that getting a divorce increases the risk of developing an alcohol use disorder by almost sixfold in men. Many guys try to cope with the heartbreak of their by numbing the pain with drugs or alcohol. This is a dangerous road to go down. If substance abuse becomes your primary means of coping with what you are going through, you are veering towards addiction and should seek help immediately. The post The Disturbing Ways Divorce Can Impact Your Health appeared first on Dads Divorce.